There are some stories I read and I'm just like, wow, I thought this only happened in Nollywood? Now I am certain that the writers I thought were pulling rabbits from a heart actually have a basis in reality for their scripts, or is it some people who have started mixing up real life with a very good imagination? Forgive my confusion, but this story a lady called Bukola told to E24-7Mag is enough to do the same to anyone. She spoke of how she introduced her friend to a married man so they could milk him for financial assistance, and how they used Juju to get a firmer hold on him. What she didn't expect was that the friend would actually marry the man, and relegate her to the background. Sounds like a movie script really, and now I see where those who talk about the other woman are coming from. I actually introduced her to Kayode, who, for a very longtime was my toaster but I told him I could not date him because I was not really interested and there was really no feeling for him. I told him I was not really interested because I was in a relationship. About the same time, Foluke had asked me to introduce her to someone who could help, so I introduced Kayode to her. I know he spends a lot on women, at least, he was dating a lady Princess Bimbo Olagunju, and he was spending so much to keep the girl. The same Princess knew how much Kayode liked me but I was not interested. 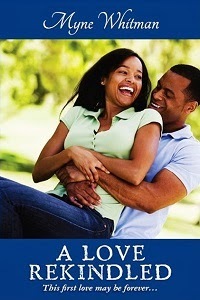 So precisely February 13, 2012, I introduced Foluke to Kayode at Mama’s Place in Omole, Ikeja. I remember that I met Kayode during the hey days of Fasholamania, his campaign project for Governor Babatunde Fashola. I believed in the project and I knew he was committed to it not because he was getting any money. Anyway, Kayode and Foluke met, they were supposed to date each other but I never advised her to go and destroy Kayode’s home built over 15 years. I know Kayode dated Princess Abimbola currently in Dublin, but she never ventured to destroy his home. They dated for about five years, yes, the wife knew, the heat was so much. They had issues about that but it never got to marrying him and sending his wife away. Princess knew Kayode wanted me, she knew I could displace her but I remained his friend. But because he was always telling us about his home, the areas his wife failed, Foluke worked on it and the result is the marriage which I advised her not to go into. I have conscience, fine as a friend, I wanted the best for my friend (Foluke), but I know she threatened the home of Kayode, she was calling him at home at odd times, telling him how much she loved him. The next day after they met, he sent N100, 000, that week, he sent more money, about N500,000. The money came at a time Foluke had accommodation problem in Marwa’s Garden, so he secured an apartment for her. “At a point, I called Foluke that why had Kayode’s wife barely left her home that you started to sleep in his Omole house? I tried to advise her that she should not marry the guy, that all she should do was get his assistance; I told her she should put herself in the wife’s shoes. Since she realised I was advising her, she withdrew from me, she started to avoid me. Yes, he was having issues with his wife but that was not enough to move in. On few occasions, he insisted he was still in love with his wife. I strongly advised her against such moves but she went ahead with the marriage plans. I remember that even while dating Foluke, he had issues with her, he complained about her lifestyles, that she was a fraudster bla, bla, but as a true friend I have to step in. Kayode had wanted to go away. Asked why she’s spilling the bean, now. She said “I just want the world to know the role I played that I merely introduced her to Kayode to assist her, not to marry him. “Yes, the wife made some mistakes too; I’m putting all these in a book I’m writing soon. It’s not enough for you to decline the advice or suggestions of your husband on how he wants you as his wife to dress. Why should the wife turn the hubby’s invitation to go out together down? Her claim that she’s a pastor and not cut out to live a life in the social circuit leaves room for the other women to step in. For Kayode, he got carried away, he loves the fact that Foluke brings him to spotlight, that makes him a newsmaker of sorts. She claimed Foluke is using juju on me, but you know what? If that is true, I, Kayode Salako will know. I’m a real man. But if truly she’s using Juju, I need more of her juju, you know why, she has added value, brought me a lot of blessings. 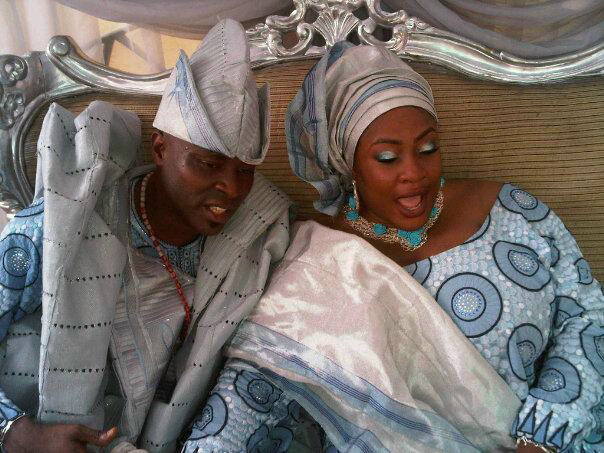 “Yes, when I came back from abroad, I met Bukola, then I was lonely, my life was boring and we met. I liked her because she was so passionate about my Fasholamania’s project, she showed a lot of enthusiasm and we got so close, it was at a time my wife was very boring, so I asked her out, but she declined. She told me that she liked me but she would not date me for two reasons: one that her intentions will be misconstrued, two, it will be a burden on her that she will love me to the extent that she would love to marry me but that she had a friend, an actress, that she’s different from the pack. She gave her name as Foluke Daramola. Really, I never believed her that she could introduce Foluke to me. She’s one of the very few actresses I admired. Eventually, we met at Mama’s Place. Shortly after she called Foluke to join us and she did. We had fun, wined and dined together. That was all that night. The rest as they say is history. I don’t know why she’s into this campaign of calumny now. Why call Foluke names? What has she done to her? If Foluke is into juju, she should be a millionaire like some of her colleagues whose lifestyles are well known to us. I met Foluke a poor girl with her sanity and pride intact. I don’t know what she wants from all these. Foluke’s life is an open book and I like it. I have taken my decision and the action to live the rest of my life with Foluke and I’m ready to face the consequences of my action. I really want to side the married couple, or just assume this is a publicity stunt, but what do I know?